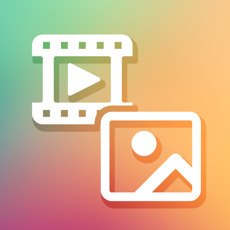 Video to Photo Plus extract frames from video files to photo with one tap. It is an ideal tool to make photo galleries from your home video. Take screenshot in easy and fast way. 1. Press the [ + ] Plus button and load video from library. 2. You can preview the video as option. 3. Select manual or sequence mode in setting panel. 4. Use the time slider to seek for frame you want to capture. 5. Capture the image manually by pressing the capture button. 6. The capture photo will automatically save into Cameraroll. 4. Set the time interval you desire. 5. Press the capture button and all frames will be automatically save into Cameraroll. For automatic capture mode, you can set frame interval for example 5 second. Video to Photo Plus will automatically capture frame at every 5 second until the clip end and all capture photos will save into Camera roll automatically.